The Skinny: Ringo Lam plays it straight for this action-adventure, which is entertaining but also emotionally remote. Of the stars, Rosamund Kwan turns in the most impressive performance. An action-revenge drama from Ringo Lam that's entertaining but definitely a few steps below his best work. Andy Lau is a Cambodian who, as a child, witnessed his parents’ murder at the hands of Paul Chun. Years later he seeks revenge by trying to assassinate Chun, but his attempt is botched. He’s saved by Chun’s mistress Rosamund Kwan, and regroups to seek revenge once more. 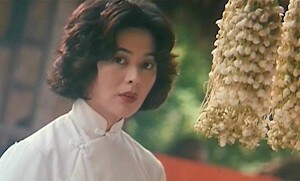 However, the CIA recruits him in an effort to indict Chun, and inserts Lau into Chun’s life by having him kidnap Chun's daughter (Wu Chien-Lien). Soon he finds himself drawn into a web of assumed identities and moral decisions, where he must choose between fulfilling his revenge or breaking the heart of a girl who implicitly trusts him.